If for some reason you couldn't cross the border last night for their Capitol Theatre show, the Whales are coming to you. 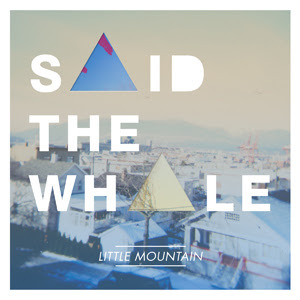 If you like your alt pop with strong hooks, harmonies and earnest, clever lyrics, then you'll love Vancouver's Said the Whale, as they return to the Detroit area, this time with a new album, Little Mountain in tow. See if you hear a nod to an 1980s Detroit favourite in one of Little Mountain's singles, "Heavy Ceiling." You'll hear more than a nod to Detroit from fellow Vancouverites Chains of Love. Led by singer Nathalia Pizzaro, the sextet have perfected an authentic, yet contemporary take on the 1960s Motown sound. They've already had three tracks in rotation on CBC Radio 3, including "In Between," from their Dec. 2011 7-inch record.